THE BOOK BEHIND THE HIT CHANNEL 5 DOCUMENTARY A glimpse of life inside the world’s most secretive country, as told by Britain’s best-loved travel writer. In May 2018, former Monty Python stalwart and intrepid globetrotter Michael Palin spent two weeks in the notoriously secretive Democratic People’s Republic of Korea, a cut-off land without internet or phone signal, where the countryside has barely moved beyond a centuries-old peasant economy but where the cities have gleaming skyscrapers and luxurious underground train stations. His resulting documentary for Channel 5 was widely acclaimed. Now he shares his day-by-day diary of his visit, in which he describes not only what he saw – and his fleeting views of what the authorities didn’t want him to see – but recounts the conversations he had with the country’s inhabitants, talks candidly about his encounters with officialdom, and records his musings about a land wholly unlike any other he has ever visited – one that inspires fascination and fear in equal measure. Written with Palin’s trademark warmth and wit, and illustrated with beautiful colour photographs throughout, the journal offers a rare insight into the North Korea behind the headlines. 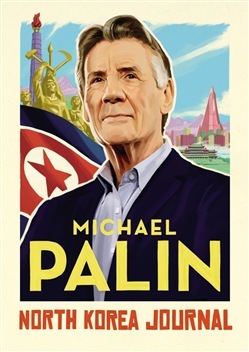 Acquista North Korea Journal in Epub: dopo aver letto l’ebook North Korea Journal di Michael Palin ti invitiamo a lasciarci una Recensione qui sotto: sarà utile agli utenti che non abbiano ancora letto questo libro e che vogliano avere delle opinioni altrui. L’opinione su di un libro è molto soggettiva e per questo leggere eventuali recensioni negative non ci dovrà frenare dall’acquisto, anzi dovrà spingerci ad acquistare il libro in fretta per poter dire la nostra ed eventualmente smentire quanto commentato da altri, contribuendo ad arricchire più possibile i commenti e dare sempre più spunti di confronto al pubblico online.